Home Safety News What’s the Real Cost of Life Alert? What’s the Real Cost of Life Alert? If you’ve visited the company’s website in search of pricing information, you’ve probably already realized the frustrating truth: Life Alert doesn’t publicize its prices and fees online. Unless you’ve braved a call to its sales department, you may be asking, “What’s the cost of Life Alert?” We contacted the company to get the facts about its equipment, policies, and pricing to bring you some solid answers. The Life Alert system is branded as the original “I’ve fallen and I can’t get up” company. The company was first on the scene to provide specialized technology to safeguard aging adults against medical emergencies at home, and it continues to do things the old-fashioned way. You can’t order a Life Alert system online—you have to call in to request a brochure and talk to a salesperson if you want to place an order. Salespeople work on commission, so don’t expect simple, straightforward answers to questions either (our call lasted a full thirty minutes). A basic Life Alert system has a base station and a pendant with a button. When you press the button on the pendant, the base unit acts as an extra-loud, highly sensitive speakerphone and connects you to a Life Alert-owned and operated monitoring center. If you need assistance, the dispatcher can either contact a friend or family member, or if it’s more serious (or if you don’t respond), they can dispatch emergency responders. Additional Life Alert equipment includes a waterproof “help” button and a GPS unit. You’ll pay $49.95 a month for the base unit and a pendant, with a one-time activation fee of $95. Adding on one additional device—either the help button or the GPS unit—raises the price to $69.90 per month, with an activation fee of $198. For the full package, you can expect to pay $89.85 a month along with the $198 activation fee. Life Alert is pricey, but is there a good reason for the higher cost? Life Alert certainly has some perks to justify the high price and set it apart from competitors, but it has its fair share of negatives as well. As soon as you order your system, Life Alert pulls a system from stock, tests it, and sends it out to you via two-day air—at no extra cost. On the day you receive your system, you’ll get a call from Life Alert to schedule your professional installation appointment. You may even get same-day installation. No matter how many times you push the button, your monthly fee stays the same for as long as you own the system. There are no fees or penalties for false alarms. If your equipment stops working or is faulty for any reason, Life Alert will send out a professional technician to replace it. Pendants and buttons all have ten-year battery life, which means you never have to worry about charging them. Life Alert has had decades of experience fine-tuning its products and its monitoring service. You can’t get a Life Alert system without talking to a salesperson, so be prepared to listen to a lengthy sales pitch and feel some pressure to buy. You won’t actually own the equipment, so you’ll have to return it when your contract is up. Life Alert requires a minimum three-year contract, and you can only cancel it if the user dies or goes into a nursing home. None of Life Alert’s devices offer fall detection, and company representatives say that it’s because the technology is not yet reliable enough to work properly. If you try out Life Alert and you don’t like it, you’re still locked into a three-year contract. While some systems allow family members to use a loved one’s GPS device to track their location, Life Alert’s GPS devices do not offer this feature. How Does the Price of Life Alert Compare to Other Medical Alert Systems? When it comes to medical alert systems, Life Alert is definitely on the higher end of the spectrum. You can expect to pay $20–$30 a month for monitoring service with most other medical alert companies, with one-time activation fees between $0–$150. At $50–$90 a month and activation fees between $90–$200, Life Alert costs nearly twice as much as its competitors across the board, without many notable differences in equipment or service. 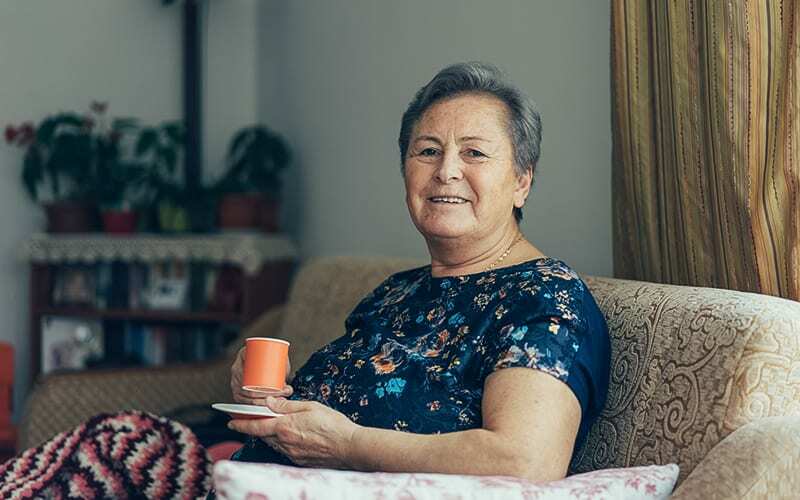 If you’re looking for more affordable alternatives to Life Alert, here are a few of SafeWise’s top choices from our guide to the Best In-Home Medical Alert Systems. Medical Guardian’s rates start at around $30 a month, with no contracts or startup fees. The company offers a variety of plans, all of which can be upgraded with fall detection technology. Medical Guardian ranked first on our list of the best medical alert systems. If you or your loved one are active and interested in medical monitoring outside the home, the Philips LifeLine GoSafe pendant is a great option. It actually uses multiple technologies—including cellular, Wi-Fi, and GPS—to track your location, getting help to you sooner. Unlike the Life Alert pendants, it does require a recharge every seven days, but at $55 a month, it’s a little less expensive. Philips also requires a one-time device fee of $149. Another good option for active older adults is the LifeFone At Home and On-the-Go with fall detection. It’s completely cellular with a built-in GPS and fall detection technology. Like Medical Guardian, there are no contracts or up-front fees, but it is a little more expensive than Medical Guardian at $40–$50 a month, depending on the options you choose. Do the Life Alert prices include taxes and shipping? Yes, the one-time activation fee covers sales tax and shipping costs. Do I have to pay the Life Alert activation fee when I order? No, the activation fee isn’t charged to your card until the day after your system has been installed to your satisfaction. Do I have to provide documentation if I need to cancel my contract because my loved one moves to a nursing home or other end-of-life care center? Yes. In order to cancel your contract, Life Alert requires you to provide a signed letter from a doctor or nursing home verifying your loved one’s admittance to a nursing home, hospital, or other care facility. Since you’re dealing with sales reps at Life Alert, can you negotiate prices? Possibly. We think sales reps may have some leeway with pricing, because our sales rep did indicate that he had some authority to lower the activation fee. It certainly doesn’t hurt to ask. If you’re looking for a tried-and-true company with a longtime history of quality products and reliable medical monitoring, then Life Alert may be right for you. It does cost more than competitors, but its equipment and customer service are among the best in the industry. But if the high cost outweighs the benefits and you’re on a budget, or if you don’t want to be locked into a three-year contract, then there are a variety of other reputable alternatives in the marketplace. Check out our list of Best In-Home Medical Alert Systems to explore more options.